Please note that ePoll is now available - a free, web-based student response system. iClickers will no longer be centrally supported at the U of A starting in July 2019. This article will explain how to link the anonymous iClickers responses obtained in class to individual students. This will allow you to know how specific students respond to the questions you ask during your polling sessions in class. This can be used to assess students or provide participation scores. 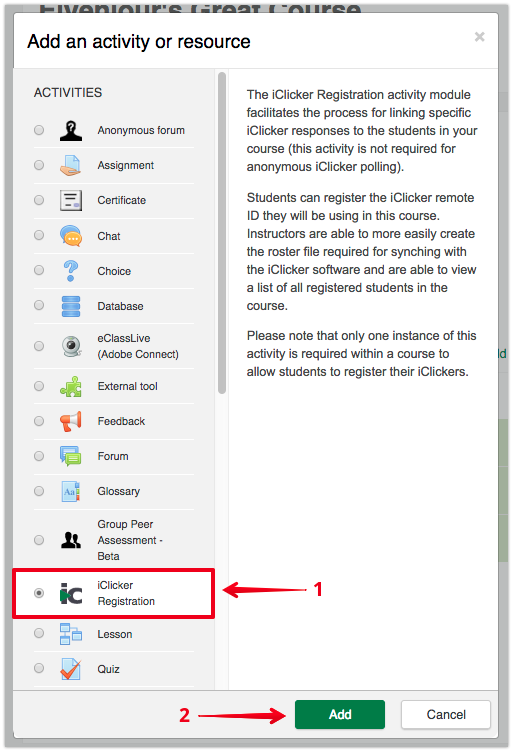 To use the steps below, you need to direct your students to register their iClickers using the instructions in the following article: Registering Your iClicker - Students. 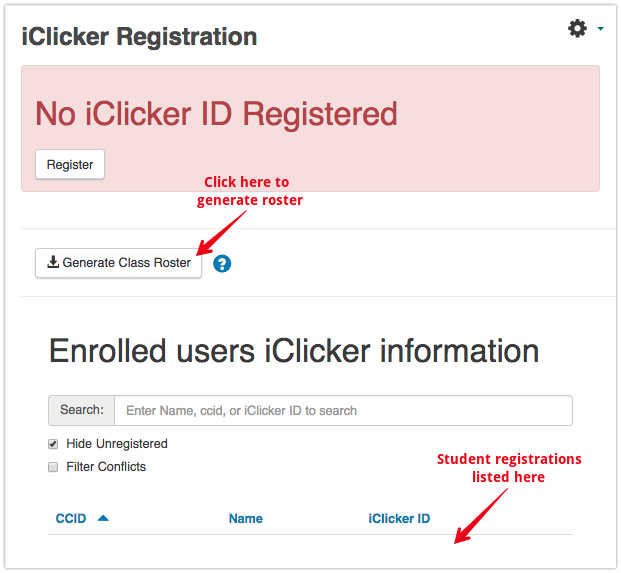 Unless you intend to support iClicker REEF or iClicker Cloud, your students should only need to register their clickers on eClass. 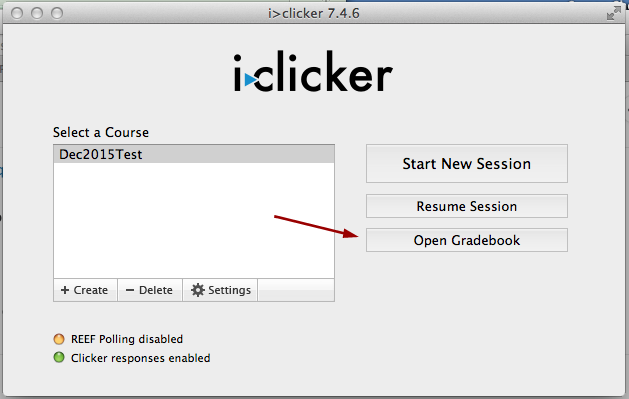 You can perform the steps below at any time but your students will not be synched with your software until they complete their clicker registration in eClass (they will appear in your software as unregistered). The screenshots in this tutorial are using the latest version. Please note that the registration process is entirely local and does not submit any student information to external sites. All student information is saved locally and is not stored outside of Canada. Inside your eClass course, turn editing on and click Add activity or resource in any content section of your course. 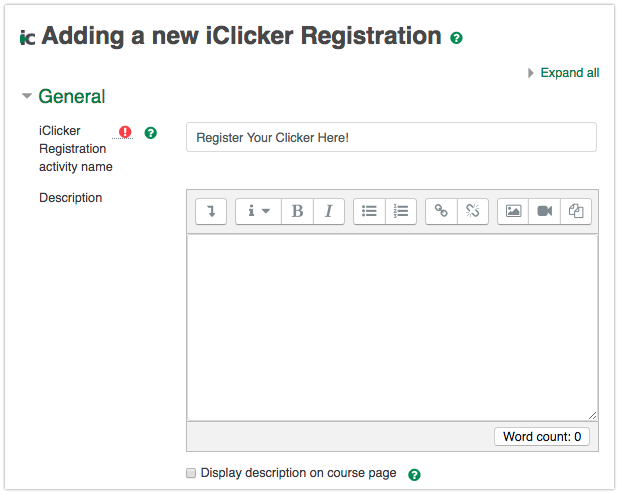 Only one instance of the registration activity needs to be added to your course so it makes sense to add it to a content section near the top of the course (unless you are introducing clickers later). 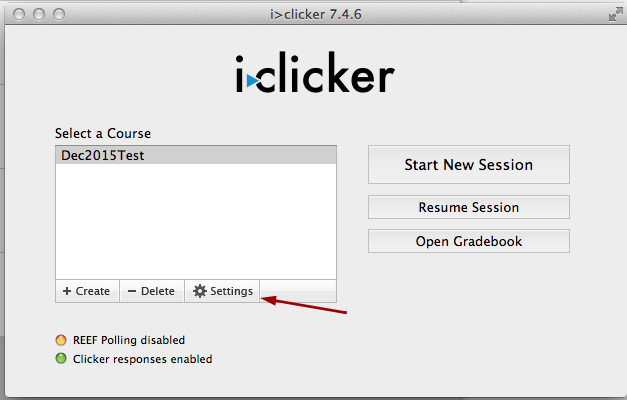 Select iClicker Registration from the list of activities and click Add. Enter a title for the activity (and optionally a description). The title will be the link the students click on to complete their registrations so making it descriptive and obvious like 'Register Your Clicker Here!' is a good idea. Click Save to create the activity. When you run your iClicker software at the start of term (or at any time when you need to synch up anonymous votes to registered students), you must specify the local database in your settings. This only needs to be done once for the term. 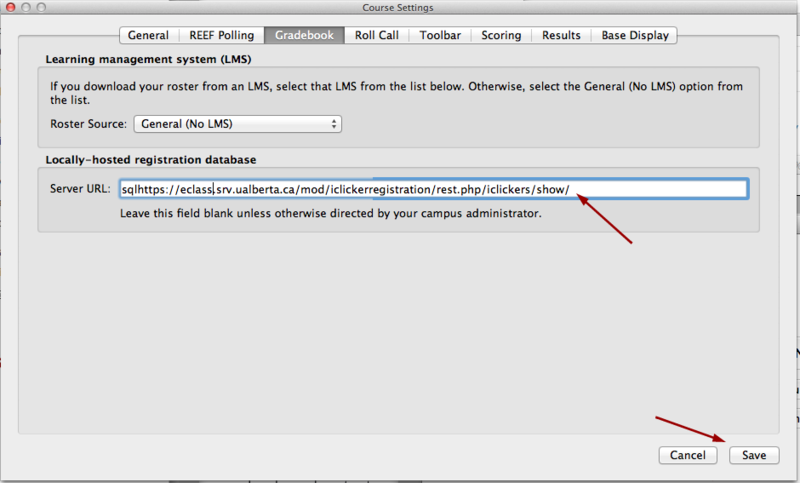 NOTE: The url above must be entered exactly as shown, including the trailing slash. 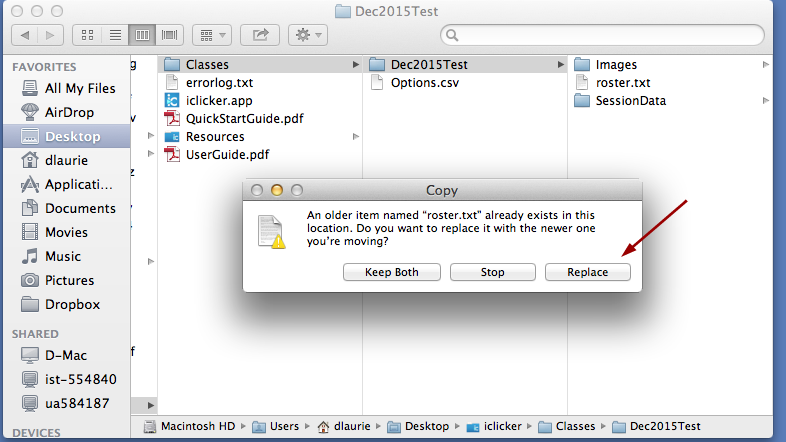 Some users have encountered errors when synching if the trailing slash is missing. You will know that your roster file is correctly configured if your list of student names is appearing in the list of available participants. 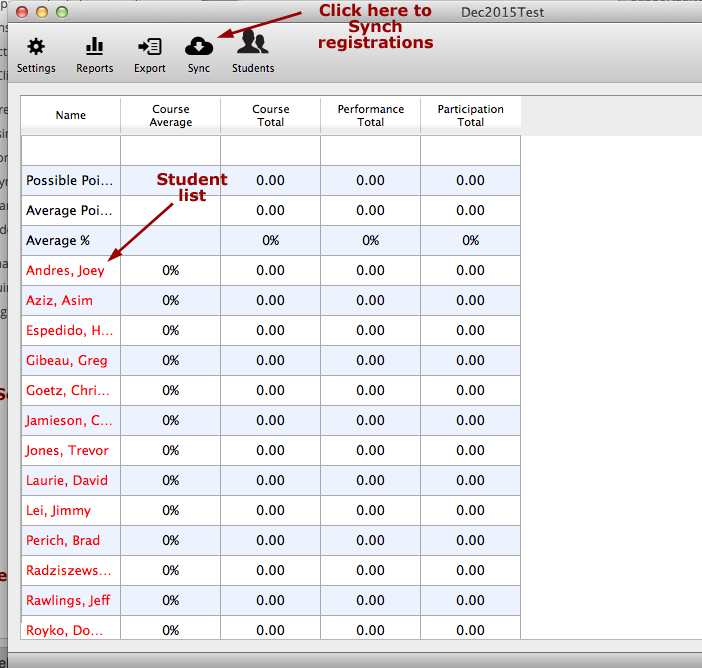 All unregistered students names will appear in red. 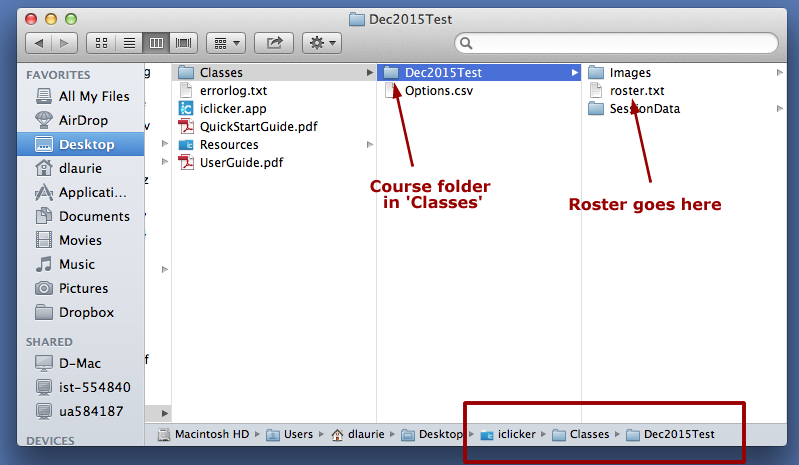 If you have an incorrectly formatted roster file, you will only see the clicker IDs (once you have begun recording polling data).